Here is an astonishing Paris Studio apartment for rent located in the lively 9th arrondissement, close to Galeries Lafayette. 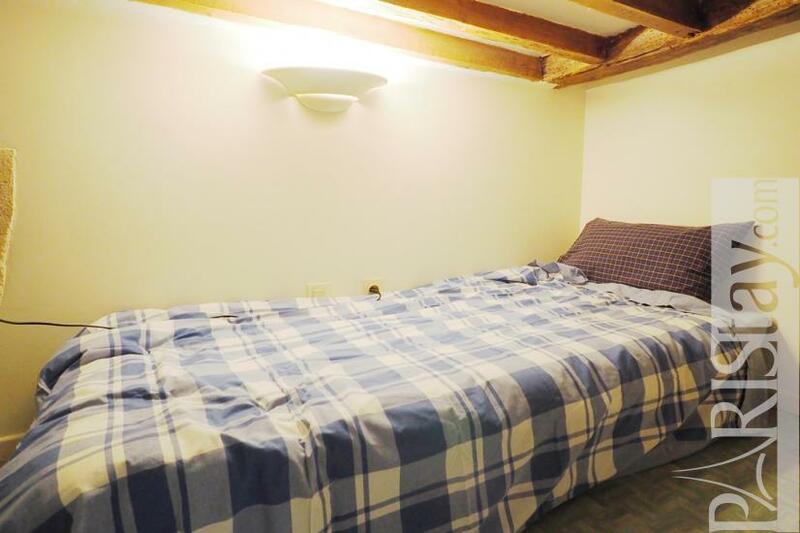 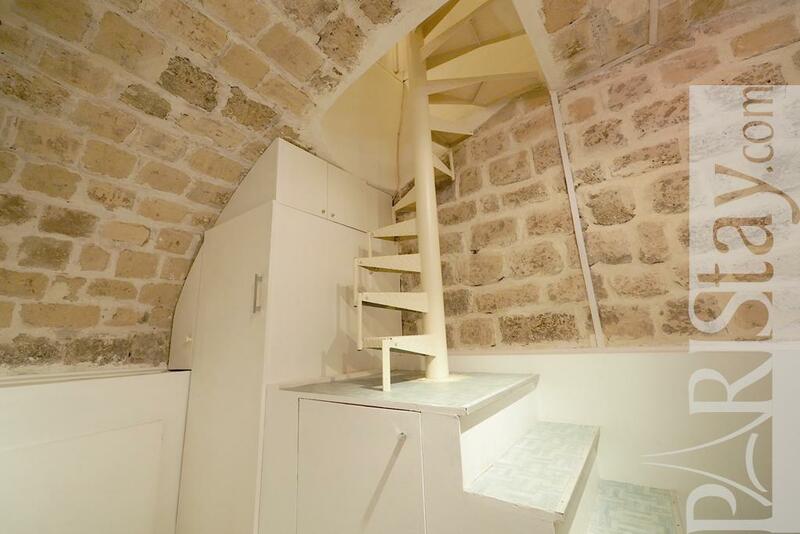 It consists in a spacious living room offering beautiful wooden beams, stone walls and a decorative firework, There is a large mezzanine equipped with 2 mattress (80cm), a sofa bed, an open kitchen and a stair that leads to the bathroom that has been organized in the beautiful vaulted cellar. 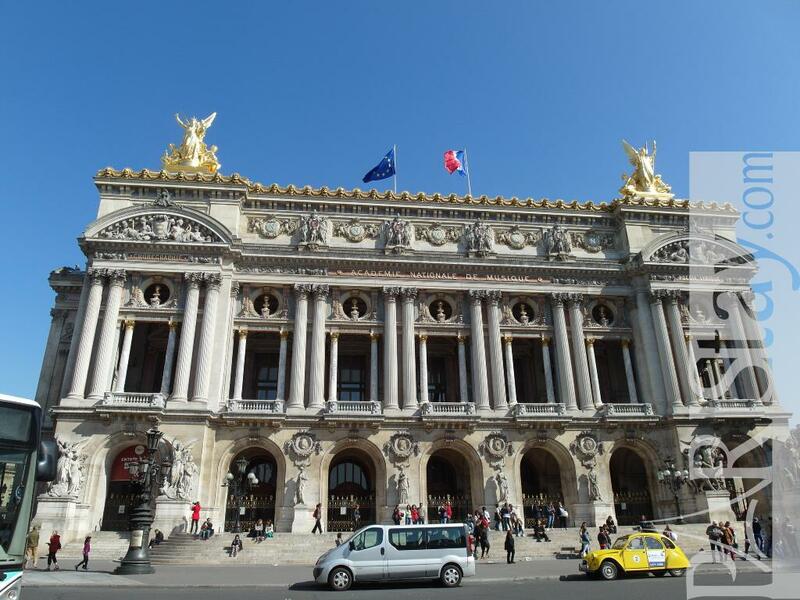 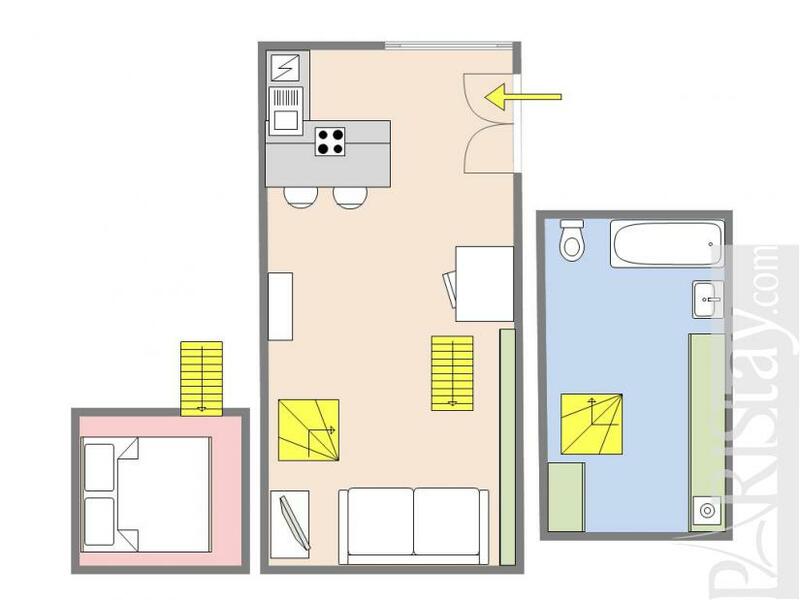 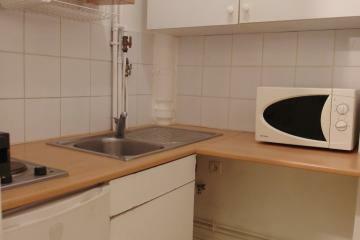 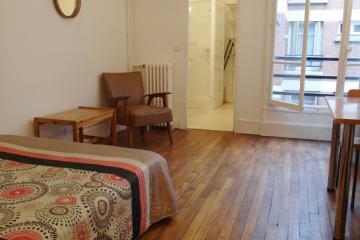 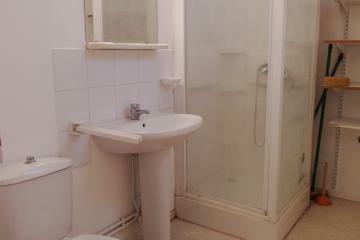 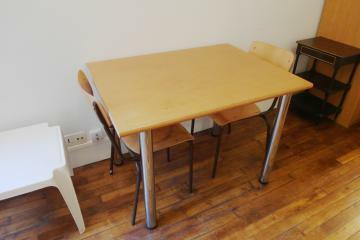 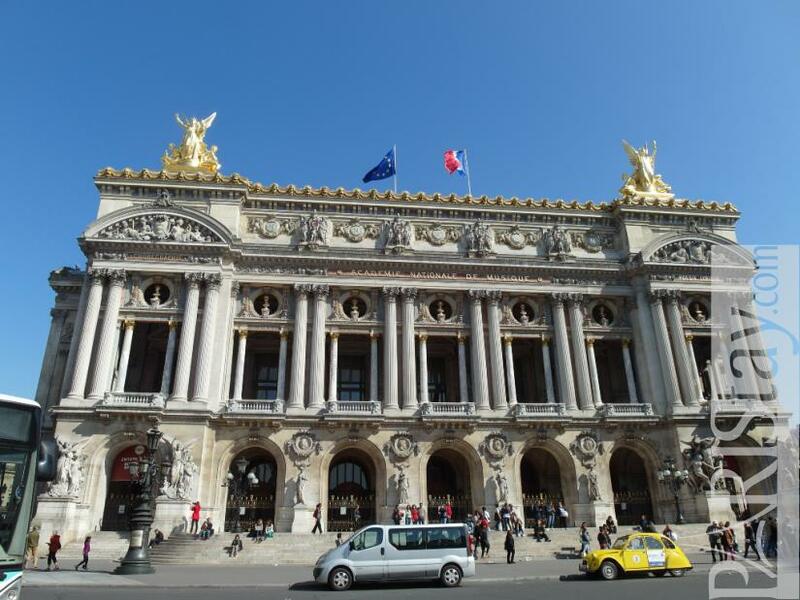 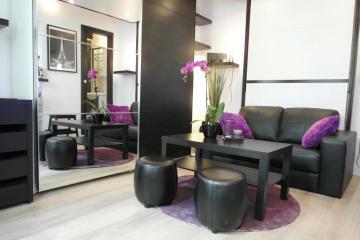 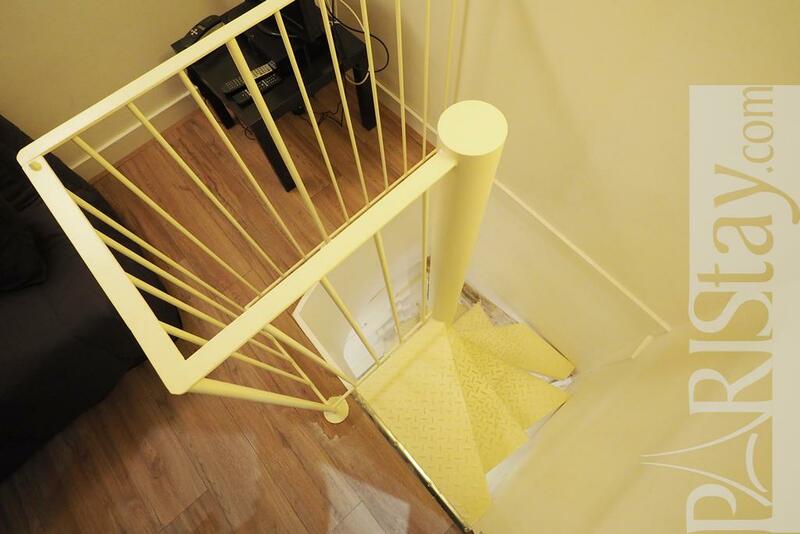 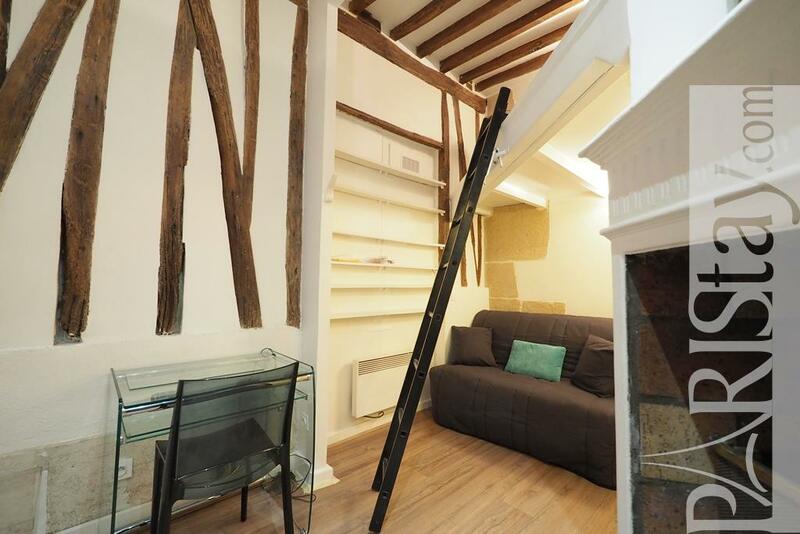 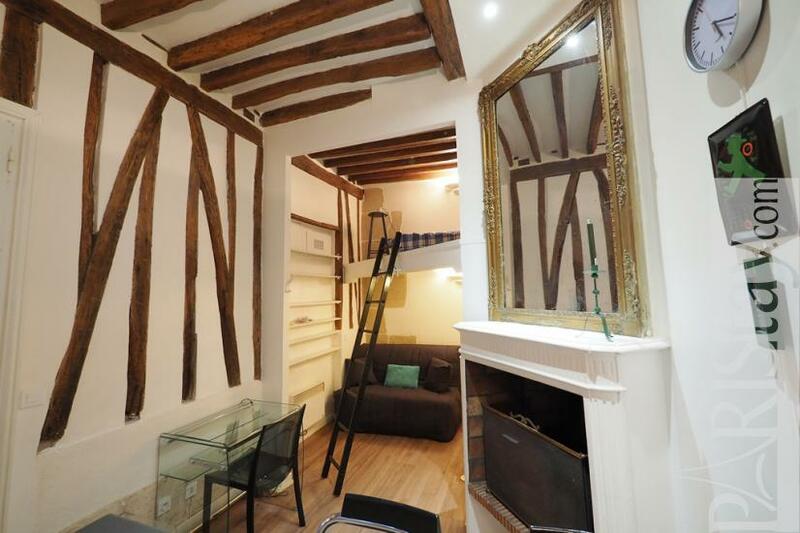 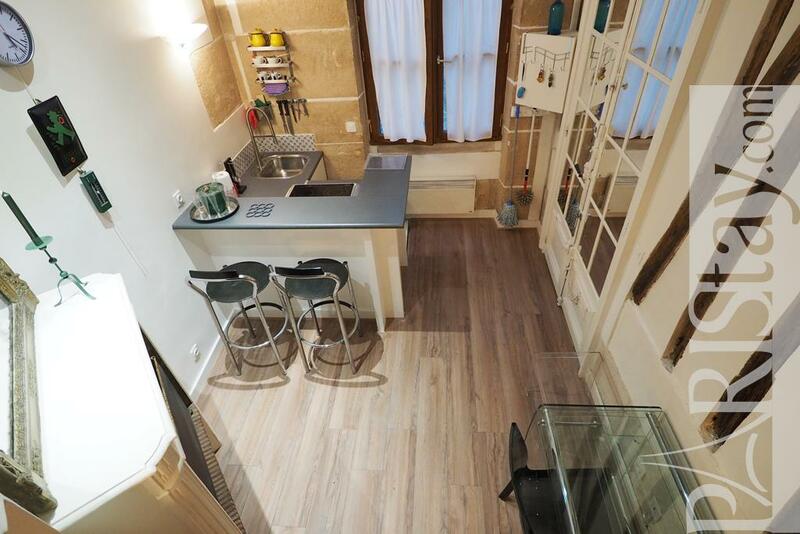 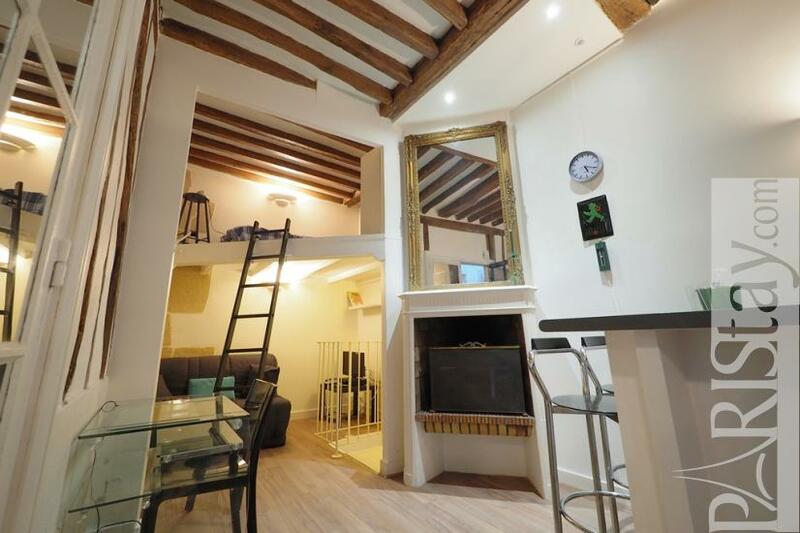 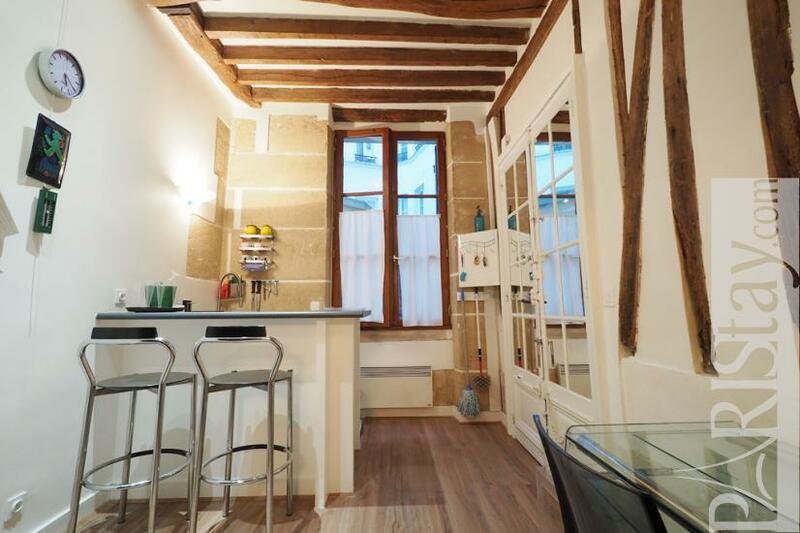 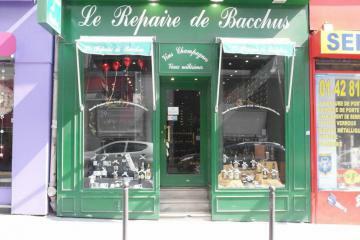 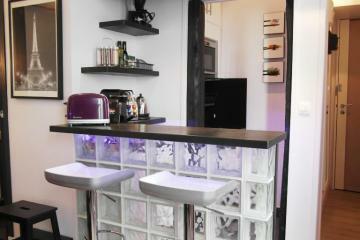 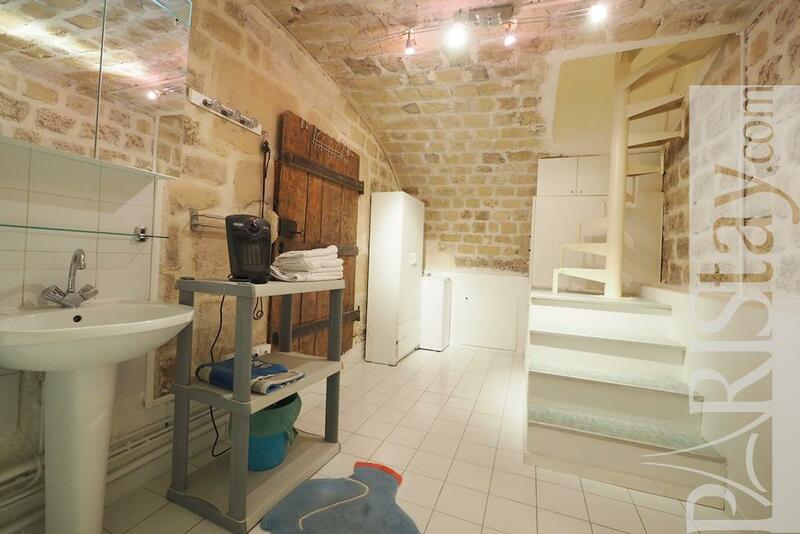 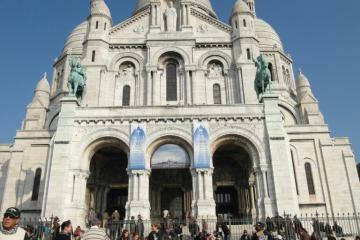 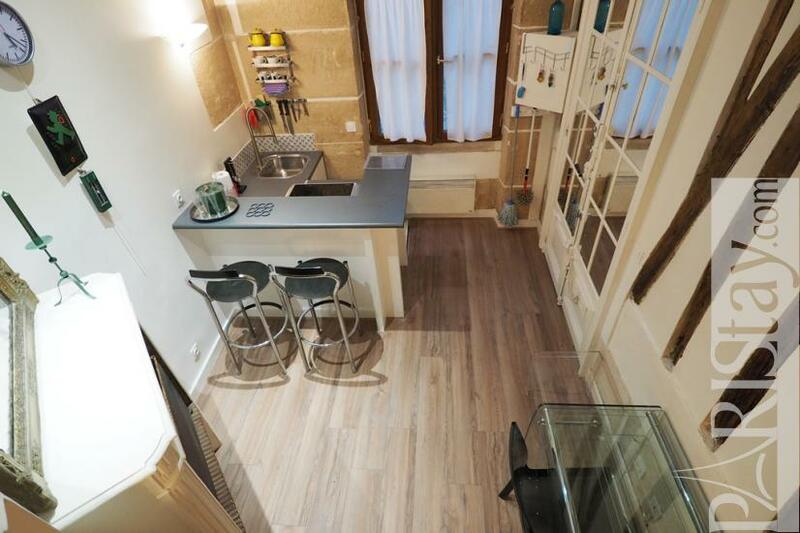 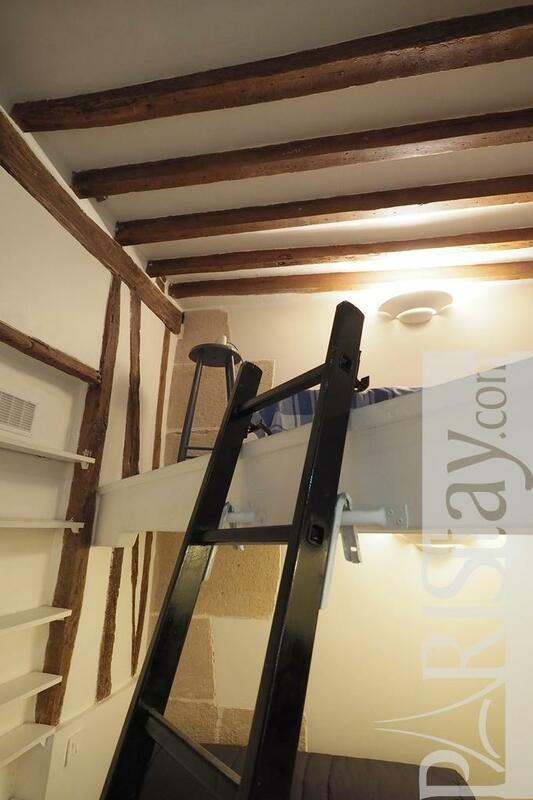 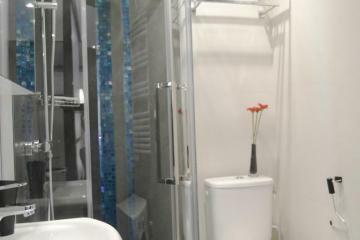 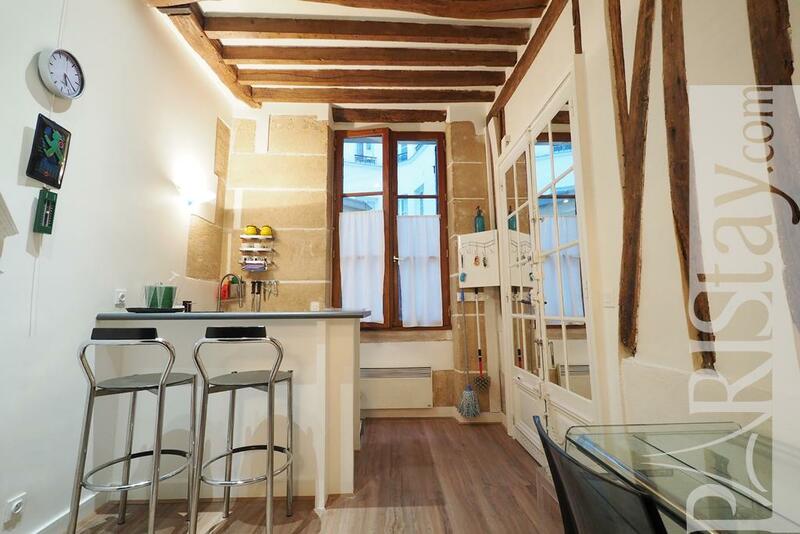 A nice and convenient student rental in Paris offering charm and cachet. 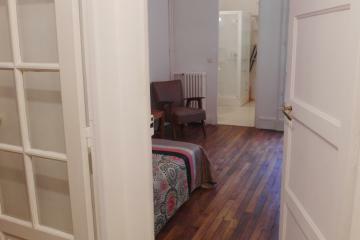 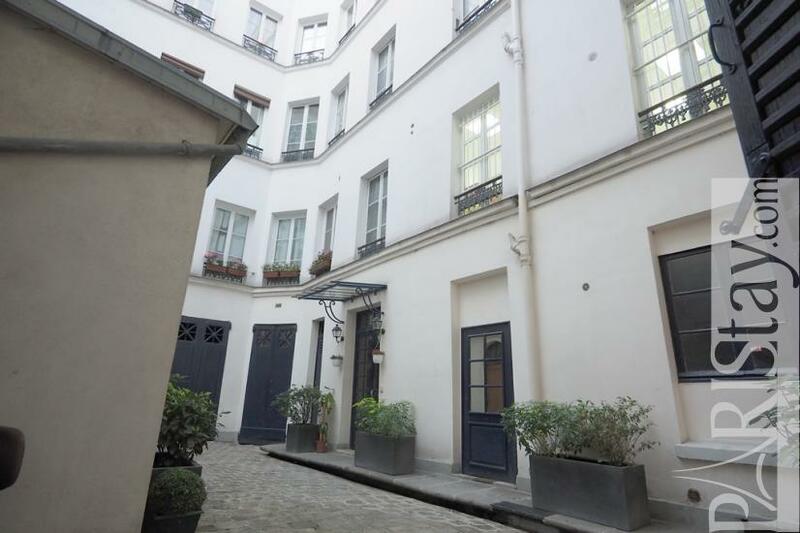 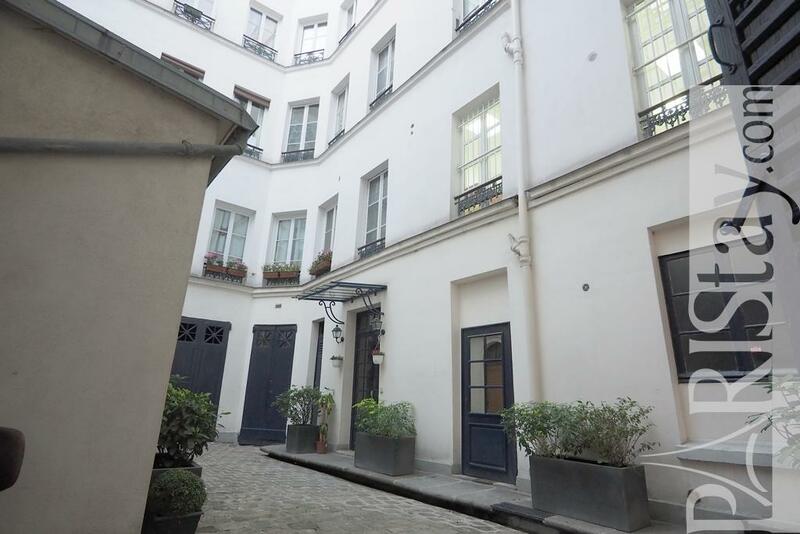 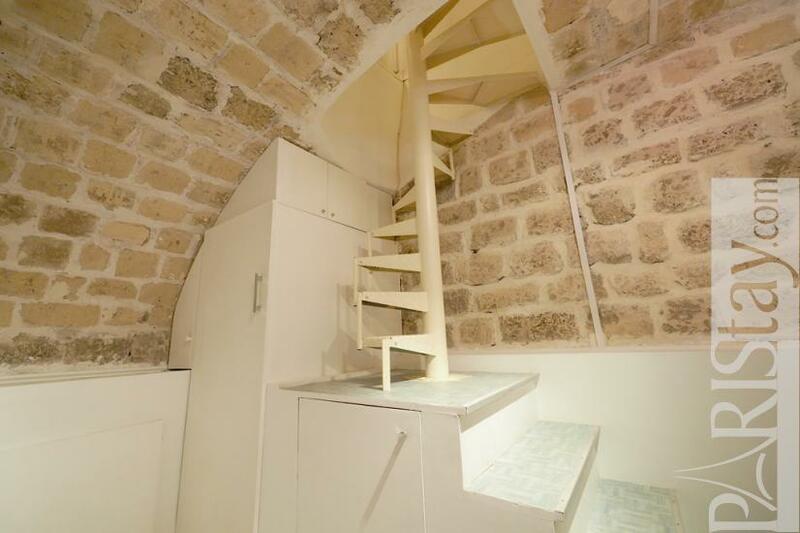 1870's Building, ground floor, without Lift, entry code security system, Studio Appartement, furnished, Approx: 15m² / 161 Sq.Ft.